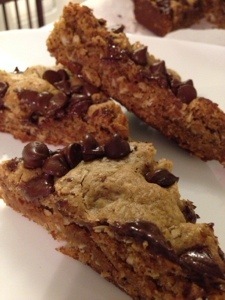 Peanut Butter Oatmeal Lactation Cookie Bars! 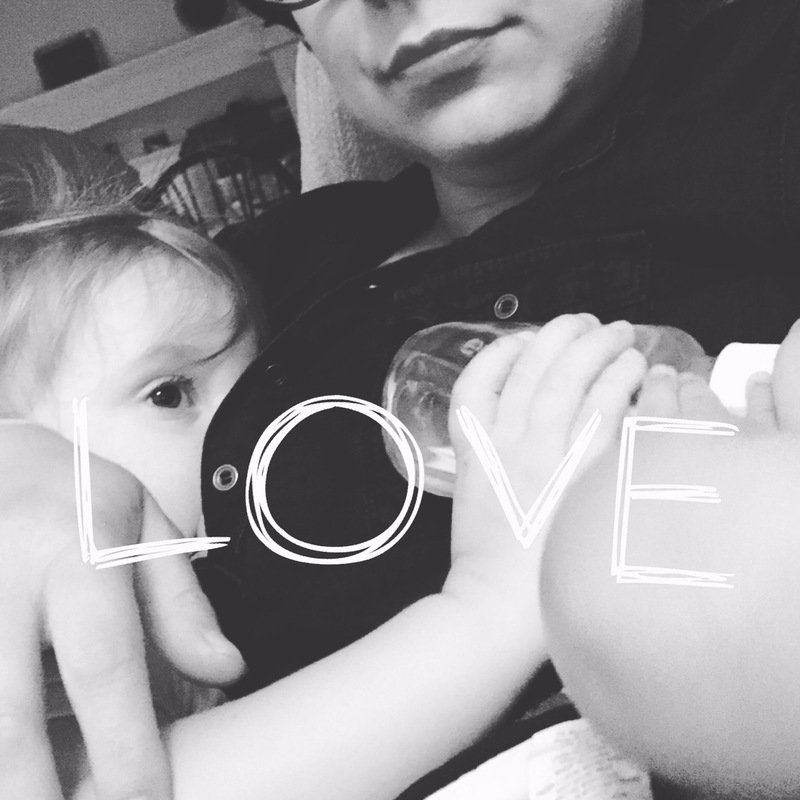 I am a believer in trusting your body and your baby to make sure you have enough milk while nursing. It’s really easy to stress, especially if it’s your first nursling, about not having enough milk. I remember crying to Milk Man that I wished breasts had ounce lines on them! But after doing some research I found that if after a week baby was having 6 wet diapers a day, I had more than enough milk. Captain was having 12 some days! That helped put my mind to ease. However, when I got pregnant with Mamitas, my milk supply plummeted a lot and fast. Milk Man found a lactation cookie recipe and we made a huge batch. They were good… But time consuming. Also the recipe made a huge batch and half went bad! I couldn’t keep up with eating them because I hated the taste of brewers yeast when I was pregnant. So they didn’t serve me too well then. I opted for brewers yeast pills. 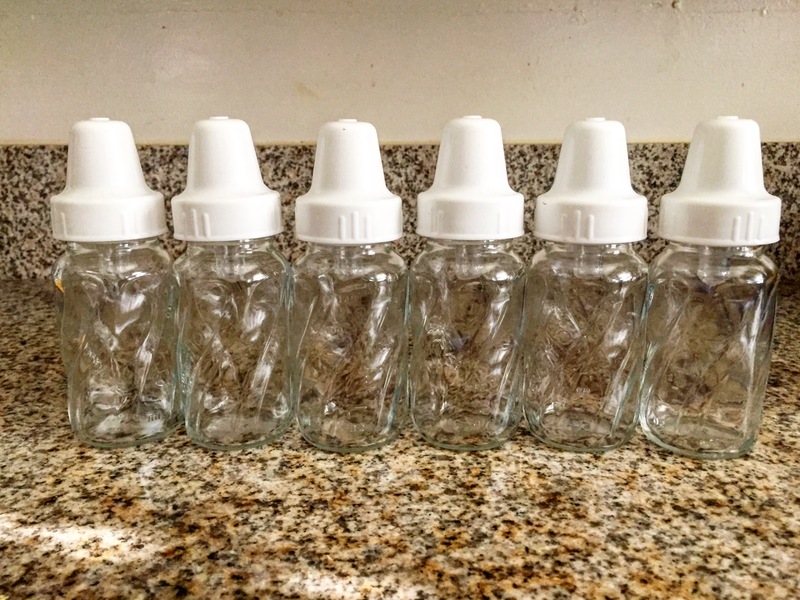 Then when I had Mamitas I was determined to pump a week’s supply to freeze as soon as I could since I had regretted not pumping enough when it was just Captain. I turned to lactation cookies as a way to help me make a bit more milk to pump. I have never been an efficient pumper. Captain was gaining weight like a champ and yet I would pump for a half hour and only get an ounce from both sides combined! The cookies helped and I got 100 oz in the freezer with a single pumping session a day for 2.5 weeks! I have a date night coming up this weekend and I need to pump so I was going to make some lactation cookies, but let’s be real. I have a 2 year old and an 8 month old who are into EVERYTHING. I don’t have time to spoon pretty little individual cookies on a tray, bake, cool, and do another tray… And then however many trays it takes til the dough is gone. So, I started thinking about How much easier bar cookies are than drop cookies and I formulated this recipe from some regular bar cookies and added my own twist. Without further ado, here is the recipe! Enjoy! 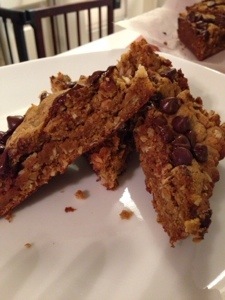 Rachel’s Peanut Butter Oatmeal Lactation Bars! Preheat oven to 350F degrees. Line a 13-by-9-inch baking pan with parchment paper or spray with non stick. 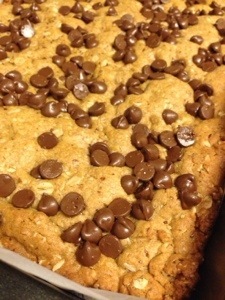 In a bowl, whisk together flour, oats, baking powder, baking soda, salt, brewers yeast, and flaxseed meal. In a stand mixer (or large bowl with a hand mixer) combine butter, brown sugar and peanut butter and mix until smooth. Bake for 18-25 minutes or until edges are lightly browned and center is just set. Do not overbake or they’ll be crunchy and dry. Remove from oven and let cool. My personal preference is to let them cool but not all the way before slicing. I like the pull the parchment out and slice it on a flat cutting board when it’s still warm but not hot. However! Brewers yeast has a strong taste. For some reason this taste is more apparent when the bars are hot. So I actually don’t like to eat these while warm. I like them cooled with a giant glass of whole milk! Bars will stay fresh in an airtight container for up to 5 days. I like to freeze half so they don’t go bad.